W A Y B A C K ! ! ! When I was appointed pastor of the Mt. 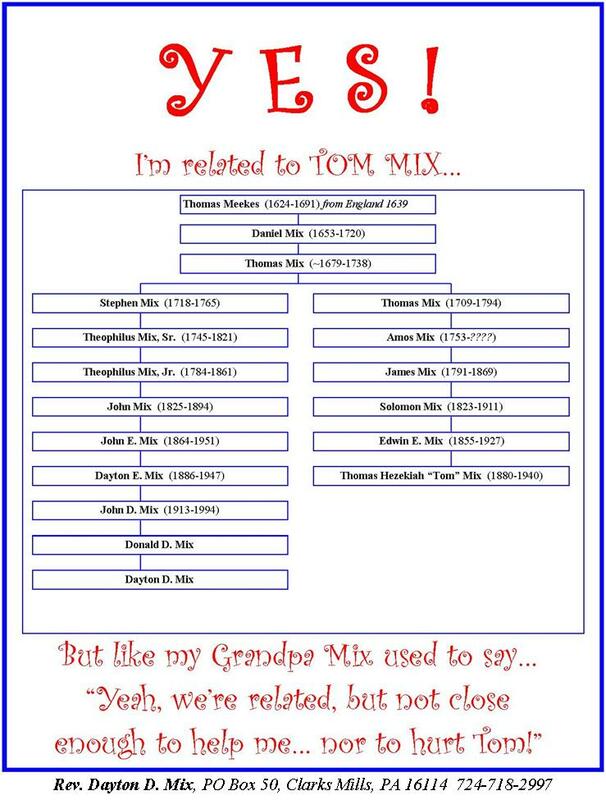 Zion United Methodist Church in DuBois, PA, during one of the final Tom Mix Festivals, was able to trace my Tom’s lineage backward until it intersected with my own line. That’s when I created the chart at the right here. 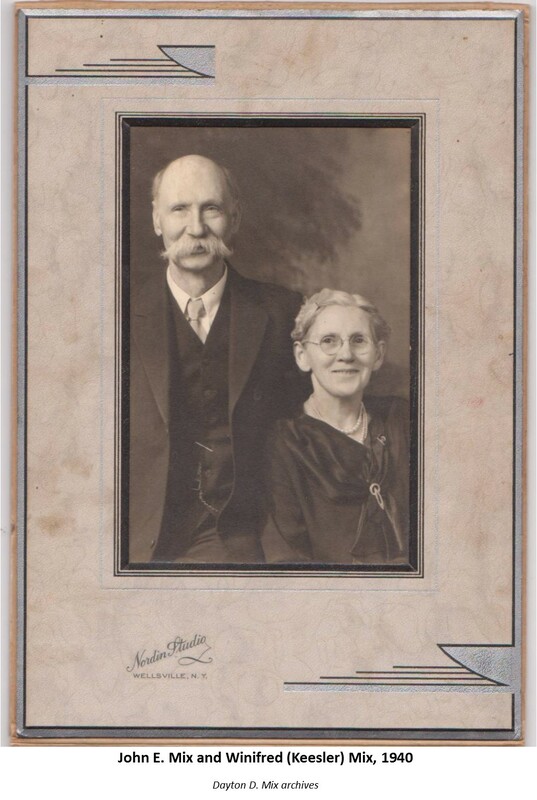 A parishioner later showed me a picture that had been handed down in her family of Tom and his parents: Edwin Elias Mix and Elizabeth (Hiestand) Mix. 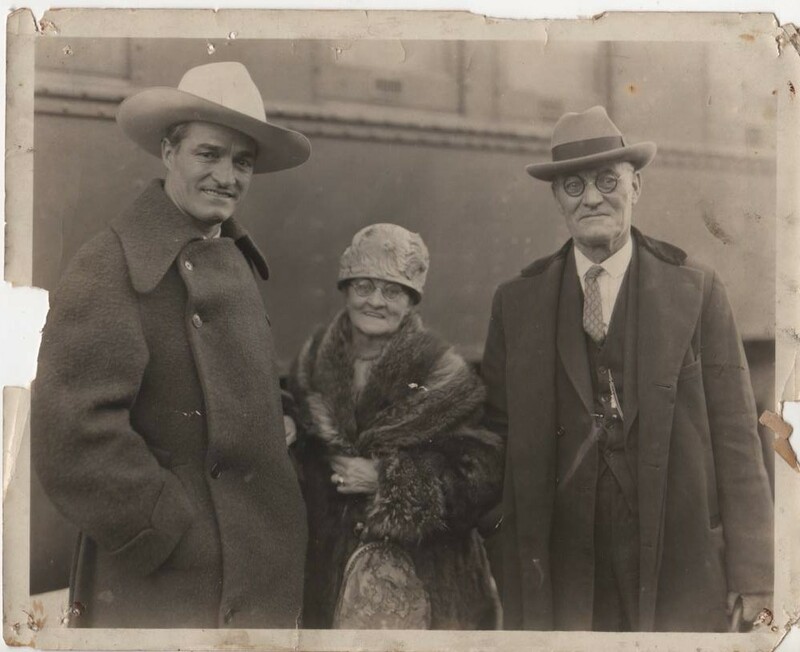 Tom Mix and his parents Elizabeth and Ed. 1927 (Ed, 29 Nov) and 1937 (Elizabeth, 25 July), so my guess is that this picture was probably in the early 1920’s. Tom had been born in a little hollow of Mix Run, not far away from the small town of Driftwood, PA, in Cameron County. While still a child the family moved to DuBois where Ed worked as a servant for John E. DuBois.